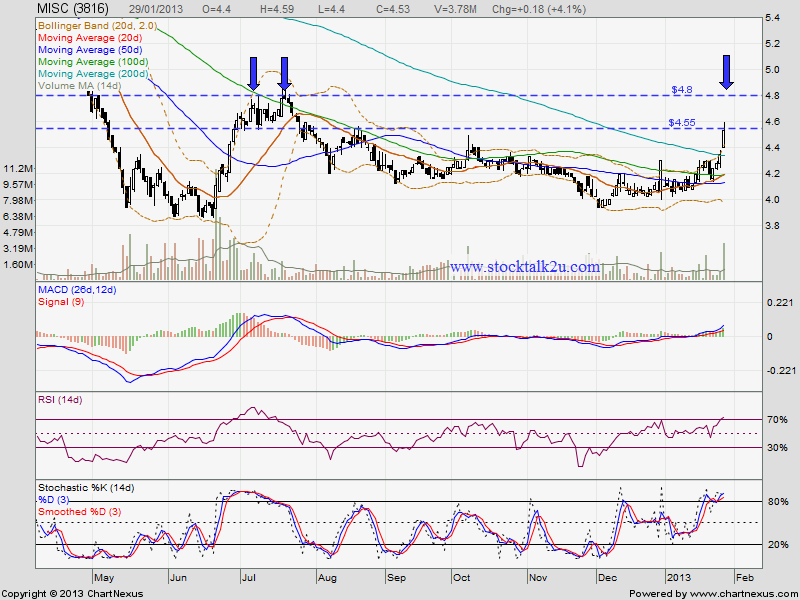 MISC succeed break through MA200 resistance level with huge volume. MACD trade positive region, uptrend sign. Stochastic %K already at oversbought stage, pending trigger SELL call. 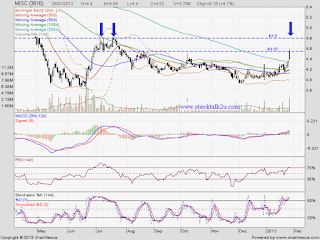 Short term outllok quite bullish BUT correction will be in place soon. If retrace down, immediate resistance would be MA200 level. Subsequent resistance would be MA20 / MA100 level.